LYNNE SANDERS-BRAITHWAITE (BELL) . AN ELDERWOMAN LIVING IN BELLINGEN ON THE NORTH COAST OF NSW. I AM THE VILLAGE CRAZY LADY. THAT'S MY JOB. I am trying to put together the jigsaw of the early built environment at Kinchela and I am hoping you will be interested in my observations and can assist with answers to some questions. The pieces of the jigsaw have come from references including your websites, the MRHS Walk in History Brochure, MRHS Journal No 140, School Centenary Book, Letters from Earle Waterhouse to MRHS, Kempsey Shire Council Bicentennial Oral History Project (Clifford Ball), Flo Seal’s Up and Down the River, NSW Titles Office, and Trove. The property at what is now 3 Riverside Drive was transferred to Frederick John Sanders in 1908. The previous owner was Paddy Baulman, a baker. 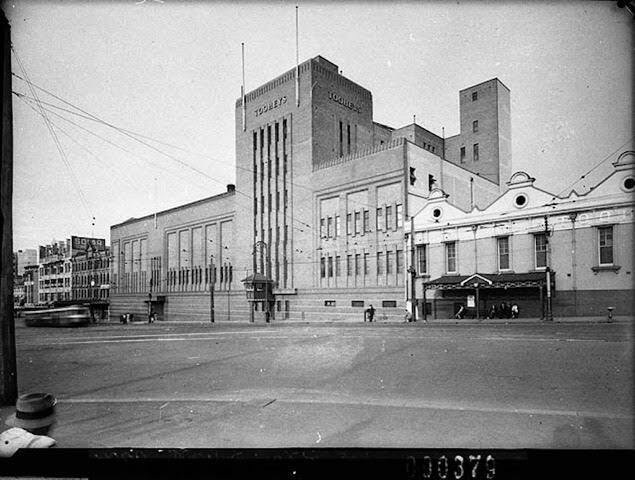 The property was leased to Ronald Johnston, another baker, in 1932. Do you know if the Sanders were operating a bakery at this site during their ownership? This property was transferred to Frederick William Sanders in 1917. F W Sanders was said by Clifford Ball to have operated a one window small grocery store. Do you know where that store was located? A “Fred W Sanders” is said to have “established a butchery on the Boggy Creek Road in the late 1890s and this was the first business associated with the Macleay River Cooperative Dairy Company.” The Macleay River Coperative Dairy Company was said to have “opened a dairy factory at Kinchela in 1891” and “in 1897 the Macleay Argus reported Frederick John Sanders was running the factory.” Frederick William Sanders was 12 years old in 1891. Do you know what actually happened and where Boggy Creek Road is? 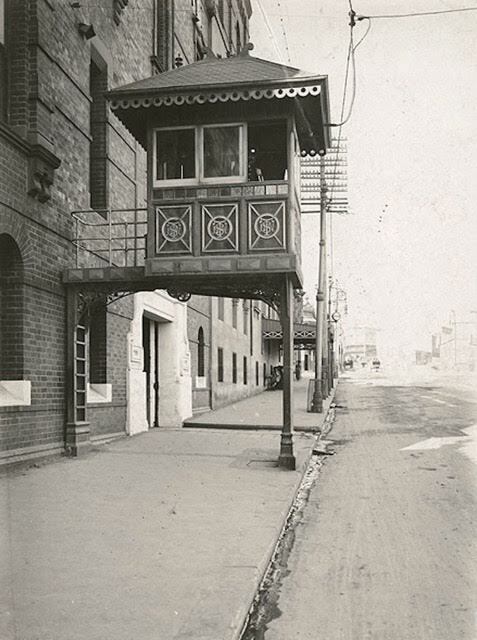 The property at what is now 42 Riverside Drive was leased to Joe Barnett in 1934 and he operated a butchery there. It is said that the butchery closed during the war when Fred Sanders enlisted. Do you know which Fred Sanders enlisted in which war and whether he worked for Joe Barnett? The memoirs of Earle Waterhouse say that, around 1916, Kinchela had a butcher in addition to two stores. This precedes Joe Barnett’s butchery. Two stores operating at this time were Ball’s and Johnston/Jamieson’s and that leaves no scope for the F W Sanders store reported by Clifford Ball. Do you know if any Sanders operated a butchery in Kinchela itself and, if so, where? Photographs on Pages 15 and 31 of the school centenary book show buildings on the property at No 3 Riverside Drive that was once owned by F J and later F W Sanders. In both of these photographs, there is a single gable building between the house with the hipped roof and the Good Templars Hall. Versions of these photographs are on the Kempsey Shire Council’s web site at http://www.kempsey.nsw.gov.au/heritage_kinchela.htm There is a photograph at the Kempsey Museum that shows exactly the same situation except that the single gable building has disappeared from the Sanders property. Do you know what that building was? The photograph on Page 26 of the school centenary book says that it is Ball’s first store. It looks more like the house with the hipped roof on the Sanders property than either of Ball’s stores. Do you know who the people in the photograph are and whether this gives a clue as to the identity of the building? Clifford Ball lists certain early Kinchela establishments as hall, butcher, baker, carpenter, and wheelwright. The hall was at the confluence of Kinchela Creek and the river. The wheelwright was on the other side of what is now the main road to Gladstone. There were at least two bakeries operating at different times between the hall and the wheelwright (at Nos 3 and 9). This adds further interest to the possibility of an early butcher preceding Joe Barnett. Your web site has a photograph of Alf Sanders with Tom Rowe in a cheese factory. A cheese factory at Kinchela was later owned by Arthur Shelton. The Sydney Morning Herald of 22.4.1909 reports T J Rowe and A B Shelton as graduating from the Hawkesbury Agricultural College with certificates in milk processing. T J Rowe was from Kinchela. The Certificate of Title for the property that is now Nos 5 and 7 Riverside Drive shows that this property was acquired by Thomas James Rowe in 1906. The purchase was from Julia Rowe, widow of the previous owner, John Rowe. John and Julia Rowe’s children were George and Alice. Do you know if Tom, T J,, and Thomas James Rowe are all the same person and what is the relationship with John and Julia Rowe? I can see that the Rowe family tree shows many Thomas Rowes. Kinchela Creek Post Office was established by John Rowe in 1880. Rowe was said to be a “storekeeper” but the Post Office business was said to be conducted “at his residence.” Rowe’s ownership of land at what is now 3-7 and 32-34 Riverside Drive was registered in 1887. Do you know where the residence and store were located? Dudley Johnston, storekeeper, took over the Post Office in 1907. He purchased the land from Julia Rowe’s estate in 1912. He had the Paragon Store (later the Big Store leased to George Jamieson) on this property. Do you know when the store was constructed and if the previous Post Office building remained in use? Photographs of the store, both as Johnston’s Paragon Store and Jamieson’s Big Store, show an older smaller building immediately to the south. The family trees show very little information about George Wickham Rowe, son of John and Julia Rowe. There is not even a date of birth or date of death. Flo Seal’s book shows that he ran the Post Office for a short time immediately after his father’s death in 1890 and then again from 1897 to 1907. Do you know what he did in between these dates? Was he running the Rowe family store perhaps? The available evidence points to the hypothesis that John Rowe’s residence and Post Office were at No 5 Riverside Drive and his store was at No 34. This would allow the recorded move of the Post Office in 1897 to have been from the residence to the store. The Post Office could then have continued with the Rowe family, after the residence was sold in 1906, until 1907 when it was taken over by Johnston. Johnston would have leased from Julia Rowe until he purchased the property at No 32-34 from Julia Rowe’s estate in 1912. He would then have built his new store beside the old one. According to the Certificate of Title, Charles Ball acquired the land for his second Kinchela store from James Maslin in 1903. Clifford Ball says that it was c1912/1916 when Charles Ball bought from Maslin and built a house and shop. A mud map drawn by Earle Waterhouse shows Ball’s second store with the annotation “replaced abandoned house occupied by Aborigines.” Waterhouse’s family came to Kinchela in 1912 when he was a young lad. Do you know if Charles Ball waited many years after buying the land before building on it? Could you please let me know if my observations are of interest to you and if you might be able to provide answers to any of my questions? Kinchela was gazetted as a village in 1885 or 1886 but the locality was known by the name Kinchela long before, as was the creek which enters the Macleay River close by. Remembering the Past Australia is a site designed for the family historian and history lover, dedicated to providing copies of original articles and resources, with the aim of shedding new light on the lives of ordinary people as they made a life for themselves and their families in colonial Australia and beyond. This site provides free lists of names, along with articles and stories which provide a different perspective of our richly layered history that capture the human spirit, connecting us with the history of ourselves, our families, our communities and with our great country. Welcome to the Scottish Register of TartansHere at the Scottish Register of Tartans, our main function is the registration of new tartan designs and the policy surrounding that function.Anyone, from anywhere in the world, can register a new tartan (individuals, schools and corporate groups as well as professional designers and weavers) providing that it meets our criteria for registration. Please see the Guidance notes for further details.For Frequently Asked Questions please visit our FAQ section. How Odd. I have never heard even a hint of this. Bruce was the husband of my mother’s cousin Maisie Johnston. surname of Beckinsale.—Dated this 1st day of November, 1943. The Mcleods and Bells. The Quirks and Dinseys. That’s us. I found this cemetery when I was living in Tumbulgum and knew nothing of this side of my Mum’s family. My thanks to Cassandra Boyle for use of her Video. 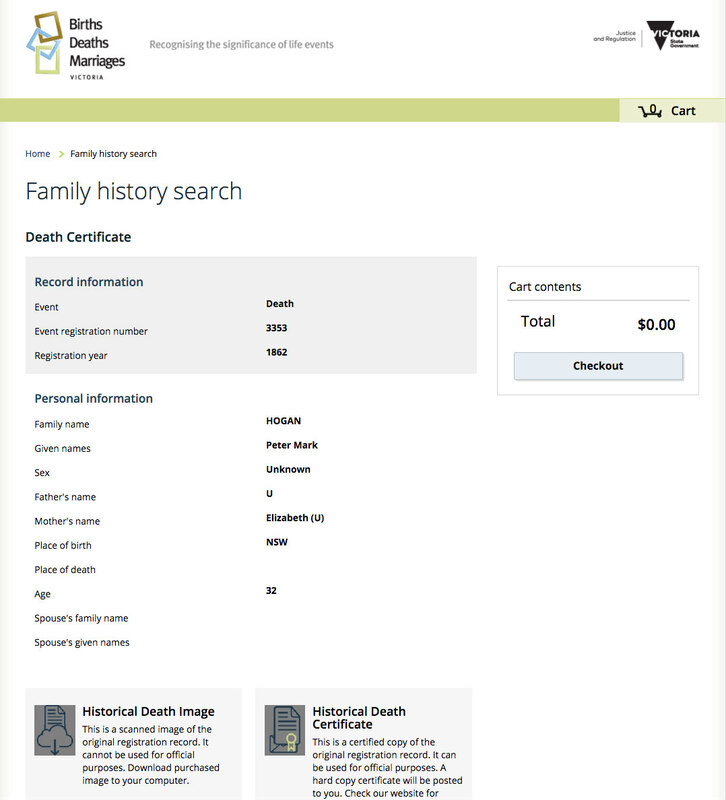 Search the database at Free Settler or Felon to find out more about your Hunter Valley ancestor. Find information about Bushrangers, Settlers, Convicts, Surgeons and Convict Ships to Australia in the years 1788 – 1840. Find out more about Colonial History in New South Wales. This page is for a list of other sites that contain Irish related graves, often with many other graves as well. Where possible, you will be given direct links. These will mostly be outside Australia. I have also included many lone graves, Irish related, with as much detail as I can to help in your research. I have no further information on these. April 2012 UpdateChanges implemented during the April 2012 update of this website (version 1.1) include making keyword searching the default form of search. For further information, see What’s New (April 2012).Register to Use London LivesAlthough anyone can search London Lives, registration allows you to use a personal workspace to link documents together and create biographies of eighteenth-century Londoners. It also gives you access to advanced search facilities and the Wiki. Registering is free. For example biographies, see the Featured Life on this page and the Lives pages. Bring history to life through storytelling.Secrets, twists, triumphs and tragedies; bring the stories of ancestors to life! 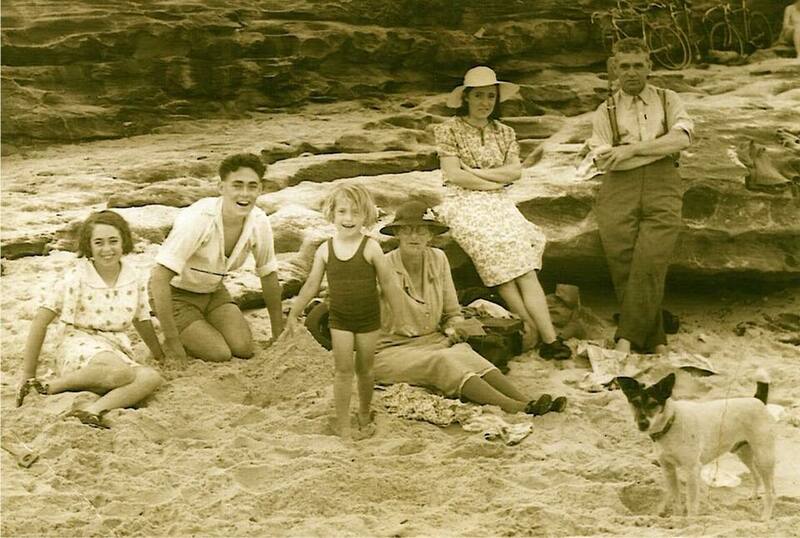 Writing Family History is a fully online unit from the University of Tasmania. Join students around Australia for an introduction to writing non-fictional and fictional narratives based on real genealogical records.Study without tuition fees (conditions apply): Online: Writing Family History is part of a fully online suite of units to enable flexible study. Free access to Ancestry.com Library: Gain free access to billions of historical documents, millions of historical photos, plus local narratives, oral histories and other resources that span from the 1500s to the 2000s.Unit ObjectivesOn successful completion of this unit you will be able to:Use and reflect on a range of key strategies and techniques for writing narratives based on genealogical records;Contribute to a supportive online workshop environment by giving and receiving constructive critical feedback on short writing exercises;Produce a coherent piece of short fiction or non-fiction based on genealogical research. EXHIBITIONSParramatta has a collection of quality exhibition spaces within the city. The Parramatta Artists Studios, the Heritage Centre and the Riverside Theatres are the main gallery-style spaces in Parramatta and they host a number of compelling exhibitions throughout the year. ICE; the Information and Cultural Exchange, an arts-based organisation supporting creative arts development in Western Sydney, is based in Parramatta. They produce or support a large range of creative pursuits (workshops, performances, industry networking events) and some of these involve exhibitions of new work. Other ‘expo’ style exhibitions occur too, most of these taking place at the Grand Pavillion at Rosehill Gardens Racecourse. A diverse range of interests are showcased over the calendar year from Quilting and Craft and Golfing to Parenting, Careers, Caravans and Camping…. even Country Week comes to town. The easy-to-use getaway to historical maps in libraries around the world.